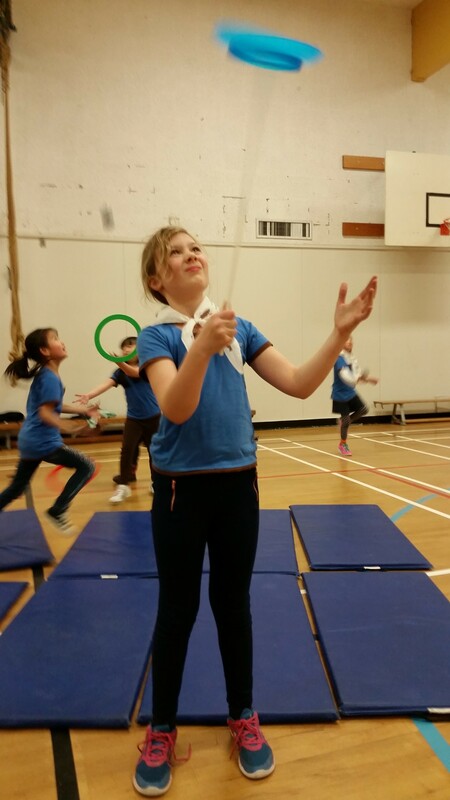 Girls in the 54th Burnaby Mountain Brownies have been learning about the circus. They recently had one of the district’s Pathfinders, who does circus lessons, come in to show them some tricks and let them try some equipment. Activities including spinning plates, crazy yoyos, juggling, ring tossing, human pyramids, and more. It was a lot of fun! The unit is carrying on with the circus theme, currently working on puppets for a three ring puppet show that they will be presenting at a Mother’s Day luncheon. Their puppets are animals, clowns, and acrobats… stay tuned! The circus activities are also involved in completing a provincial Arts challenge. How cool is that? Thank you to the awesome Pathfinder who donated her time to teach the Brownies fun new skills.